I can’t stop myself from hanging more and more and more. Pretty soon our garage walls will be covered with white dishes. The big platters are hung with these extra large plate hangers. They were 99 cents at the Goodwill. You can probably find them online for $3 each. 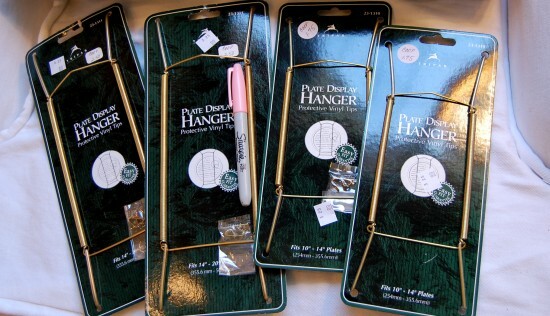 I get my regular plate hangers at Hobby Lobby or Target or the Dollar store. 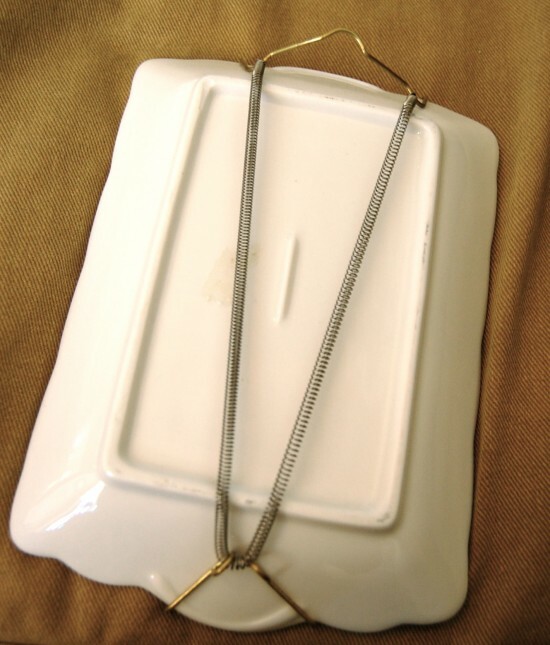 Here’s the smaller version of a wire plate hanger. If it’s not tight enough, you can undo one end of the holders and twist the springs until it feels tight enough. Don’t be afraid to bend the wires and make them work for you. Here’s my stash of extra plate hanger parts. As you can see, I keep them all individually packaged so as not to get them tangled into one large plate hanger nest. I had a few extra small dishes I wanted to hang too. I warmed up the hot glue gun and from left to right we have a safety pin, upholstery tack and a paper clip. They’ve been up for a week and I expect them to stay holding until I move stuff around. You could also hot glue on a coke tab or a piece of string tied in a loop or wire. There is no excuse for not hanging something you love. What’s your plate hanging solution? PS for those of you wondering the paint color is Sherwin Williams Comfort Grey scroll down to see more. I used your method! http://vanessadolberry.blogspot.com/2010/04/bunch-of-plates_26.html Thanks for saving me some moolah!! 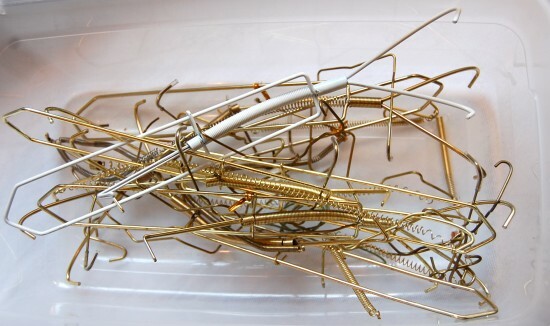 what store in toledo ohio carries small wire plate hangers. Any hardware store would have them. Even a local grocery store or drug store might. Just check the isle with lightbulbs, screwdrivers, etc. Thank you so much for showing how you hang your plates!! It makes me feel so much better to know that I am not a total unprofessional weirdo that hangs my plates and trays with whatever loopy device I can find, hot-glued to the back !!! :) You made my day! I loved this so much, I had to blog about it! I think this might be a great idea for my decor dilemma! I LOVE these plate designs!! I am newly married and have been experimenting with differnt types of wall art. I am especially interested in the overlapping look of these hanging plates, but have no idea how to achieve this look. What kind of hangers are used to make some of the plates appear stacked on top of each other? I’d appreciate any assistance! Thank you in advance! AMAZING DESIGNS! 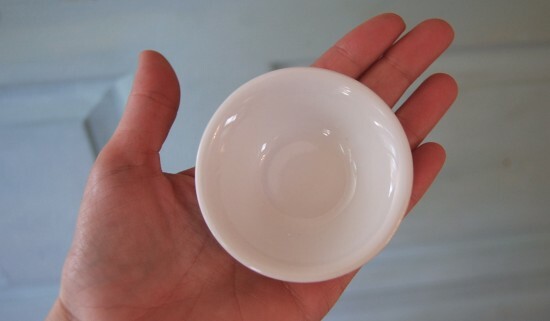 I have some really nice dishes that I want to hang in my kitchen but they are 1″ deep,can I still use the hangers that you buy or should I use the hot glue and will it hold. Thanks for the idea about the hot glue! I was searching how to hang plates w/o the wires! The idea about using safety pins and hot glue guns to hang DOES NOT work! As much as I wanted to save some money and do this method, DO NOT attempt unless you want shattered plates. Not even an hour after I hung mine, they all came crashing down and several broke, the rest got chipped. I am so MAD!!!! My experience as well! All 8 fell within an hour. 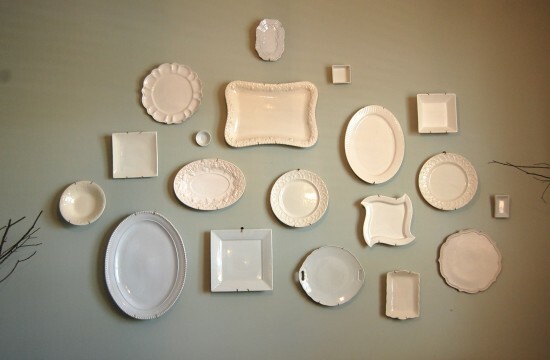 I was inspired and hung a plate wall… it did last for a few months but 2 came crashing down this week. They were secured with BOTH the paperclip/hot glue and the Command adhesives… and our climate isn’t humid so I’m not sure what happened. Bummer, back to the ugly plate hangers. Love this…I needed the encouragement to try and hang some fun plates without the hangers…gotta love hot glue…I don’t know why I didnt think of it as I have used it to hold up molding at the top of my wainscoating. I use heavy duty Velcro. It doesn’t damage the plates/platters and usually doesnt hurt the paint on the wall. Has this worked long term for you? I have some little bitty vintage plates I want to hang but can’t find plate hangers small enough. I have found that a product called Invisible Plate Hanger works great. Until I found this, my turkey platter and large tiles kept coming off the wall. dischangers.com They come in many sizes. I can just never predict when Nesty will come through for me…. I’ve been gathering plates for a few months now to put up on the wall in my kitchen. I have a few that are odd balls so I thank you for the suggestions. Hopefully this motivates me to get them up there! What a great solution for hanging very small plates!! To hang my small plates, I use duct tape or gorilla duct tape. I just pull off a piece of tape, fold the top part down on itside and stick the rest to my plate. I punch a hole through the folded part with my nail and then use that hole to hang my plate after I put the nail in the wall. I have had plates hanging on my kitchen wall for over a year and they never budge!! My grandmother taught me that trick. You can always peel the tape off of your plate if you want to and wash off the sticky residue!! Im happy I found this blog, I couldnt discover any info on this subject matter prior to. I also run a site and if you want to ever serious in a little bit of guest writing for me if possible feel free to let me know, i/m always look for people to check out my site. Please stop by and leave a comment sometime! Can you update please? Are you plates still secure on the wall? I have plates that are 5 1/2, 6 an 7 inches. None of these spring holders are small enough. My plates will be hanging over a tile floor once they drop, they are gone forever. He’s the most effective thing in my life. I simply could not depart your website before suggesting that I really loved the standard info a person provide to your guests? Is gonna be again continuously in order to check up on new posts. Dalton is in fact what the group wife prefers to call me not to mention my girlfriend doesn’t comparable to it just about all. He works as an administrator assistant yet still soon the puppy’s wife with him begin their own home based business. Watching movies is definitely something My partner and i will give together. Kansas has be sure to been a living placement but my own wife is looking us for you to. LOVE this! Love your blog and your beautiful, simple, refreshing designs!! Thank you!